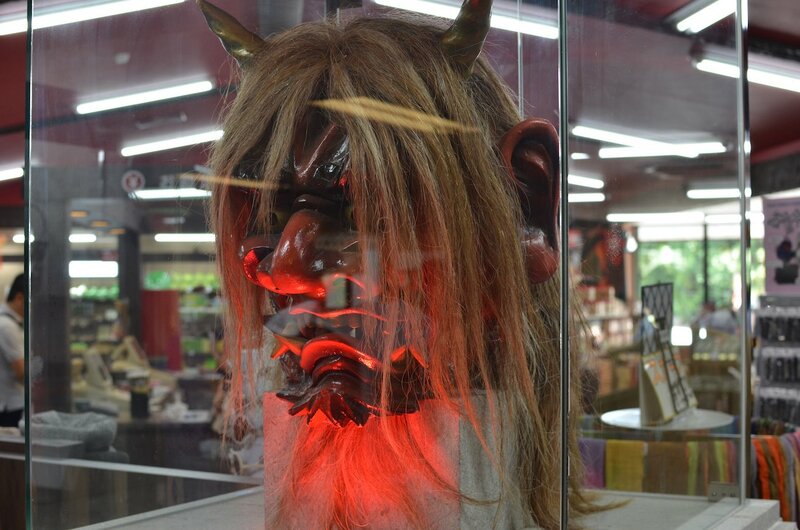 The attractions on the Jigoku Tour are a mixed bag. The best natural wonders stand on their own. The weaker ones got a little carried away with the hell theme. Whether this has turned them into a tourist trap or amusing sideshow will depend on the visitor's disposition. It takes around 2 hours to visit and walk around and look at all 8 sites. Tickets to enter each site are sold individually, or a combination ticket can be bought to access all tour sites. The spots are listed in the order one would encounter them while walking down towards the ocean. 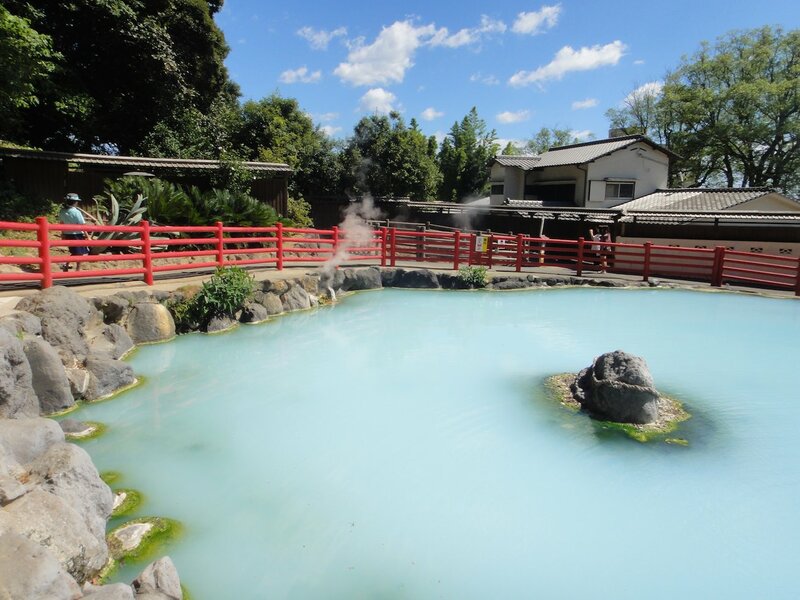 The main pond is a brilliant cobalt-blue that resembles tropical seas. 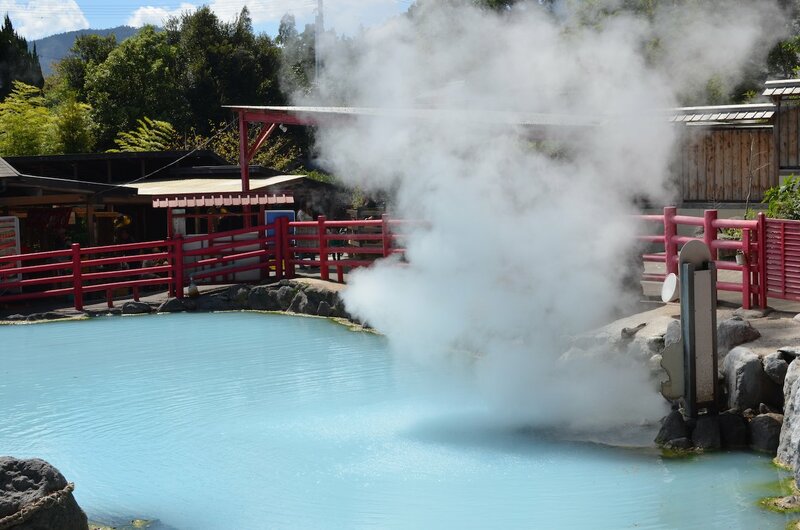 Taking a dive into this 200 m deep pool is not advisable as it is hot enough to hard-boil eggs at up to 98° C. The pool is thought to have formed 1,200 years ago. The gardens around the pond are well kept as well. Giant lotus flowers from the Amazon survive outside thanks to water warmed by the hot spring. This is one of the best spots on the tour and is registered as a National Site of Scenic Beauty. 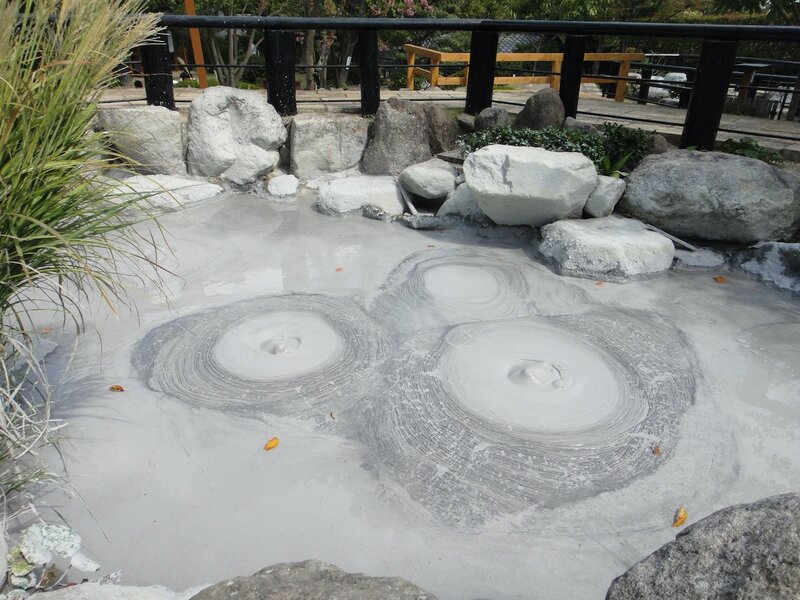 The bubbles that rise from the grey mud here are said to resemble the shaved heads of monks or Bozu in Japanese. While less spectacular than others, the site is nicely landscaped. This drier area is known for its steam vents. 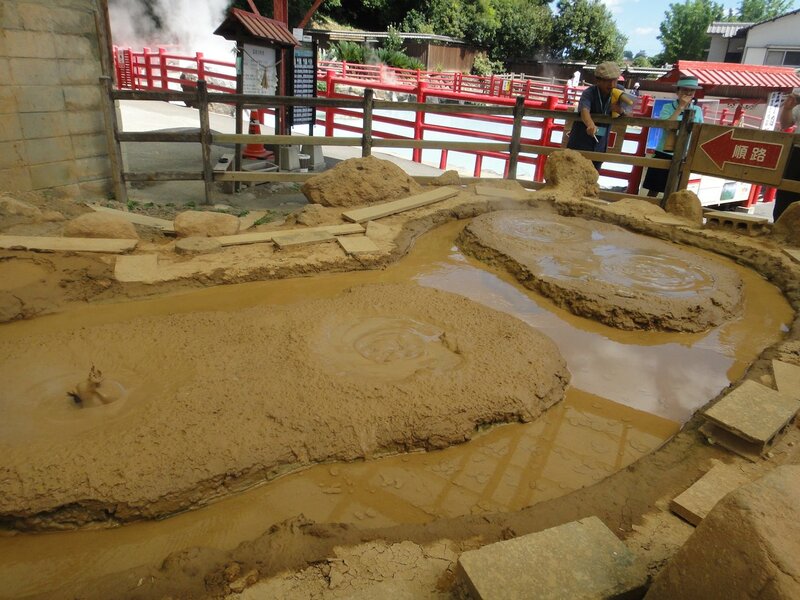 Mountain-like mud structures have been built up by the steam as it escapes to the surface. 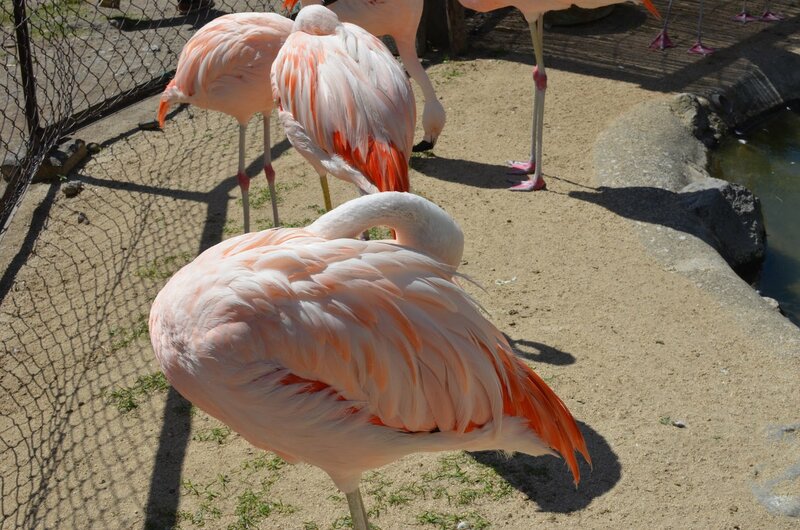 To supplement this natural show, a small zoo with lions, hippos and chimpanzees is at this spot. 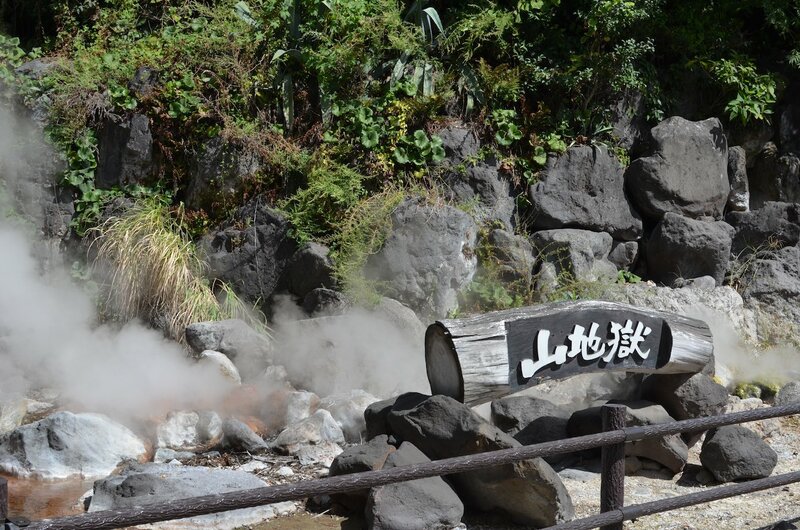 This is perhaps the most overtly "improved" hot spring site. 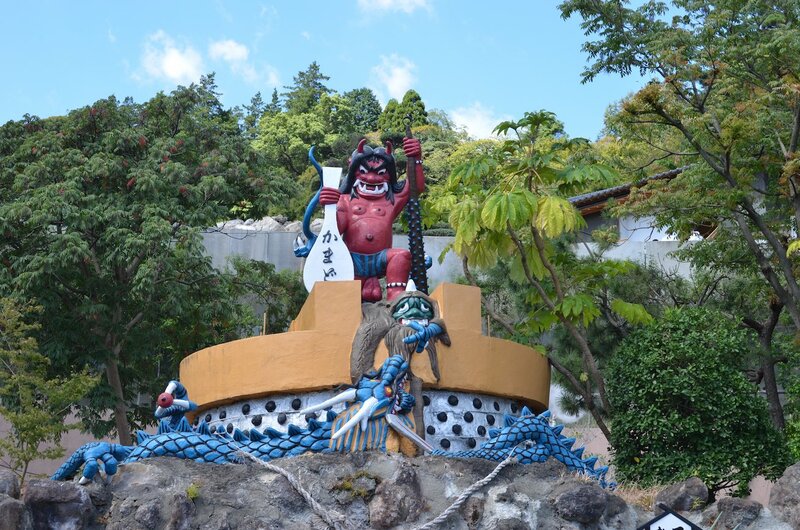 A statue of a red demon (with large nuts) stands over a boiling cooking pot. 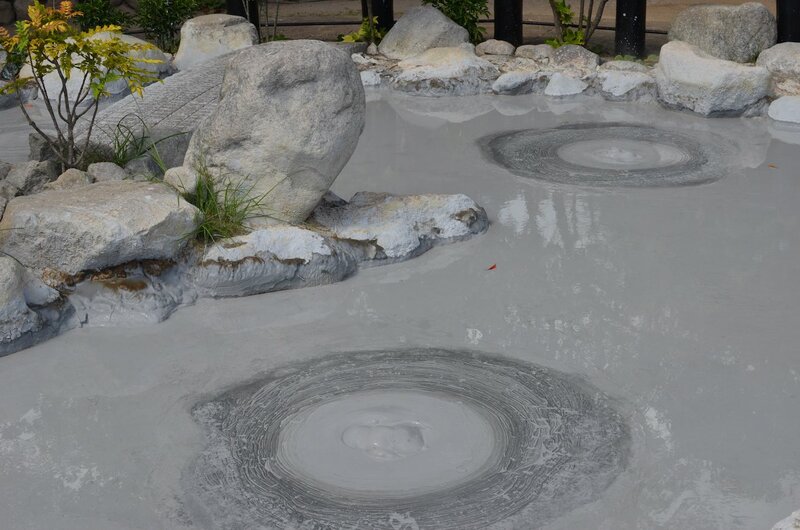 The spot has six areas of different types of bubbling hot springs. This brilliant white pond with light azure highlights is a calming view. A Japanese garden surrounds the pond and completes this pleasant contrast to the other sites. 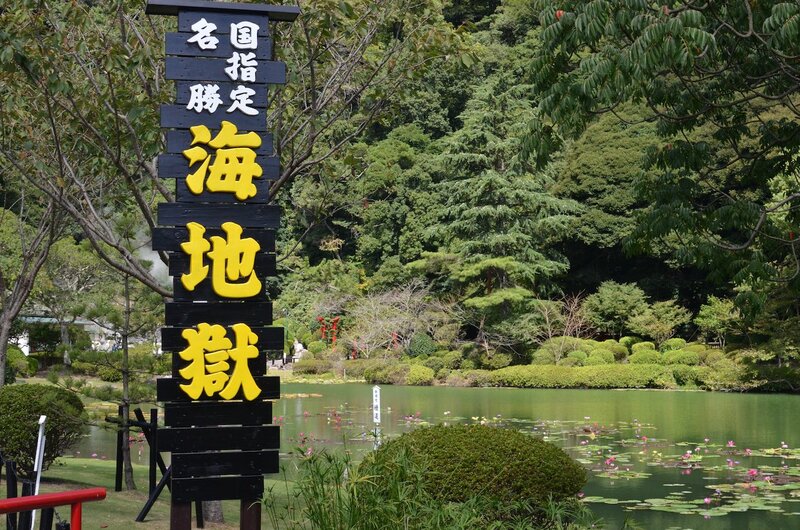 The water is a scalding 95° C. This pond is registered as a National Site of Scenic Beauty. 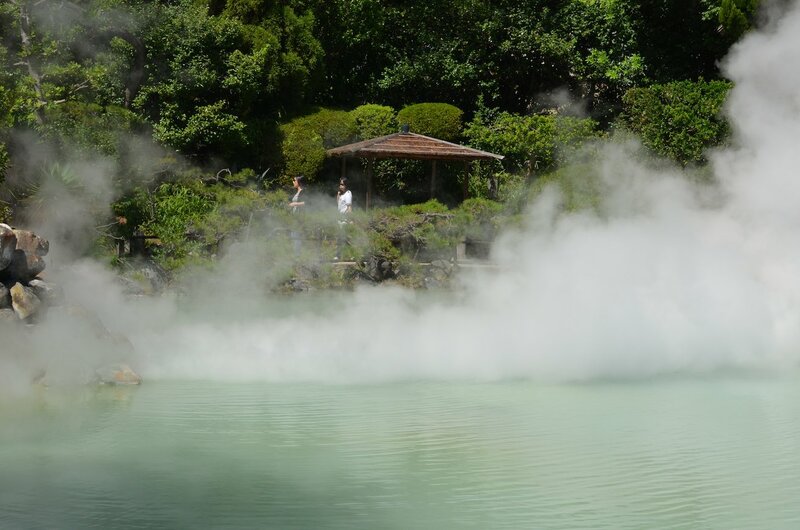 While the spring at this spot creates a lot of hot steam, the attraction here are the large numbers of crocodiles and alligators. 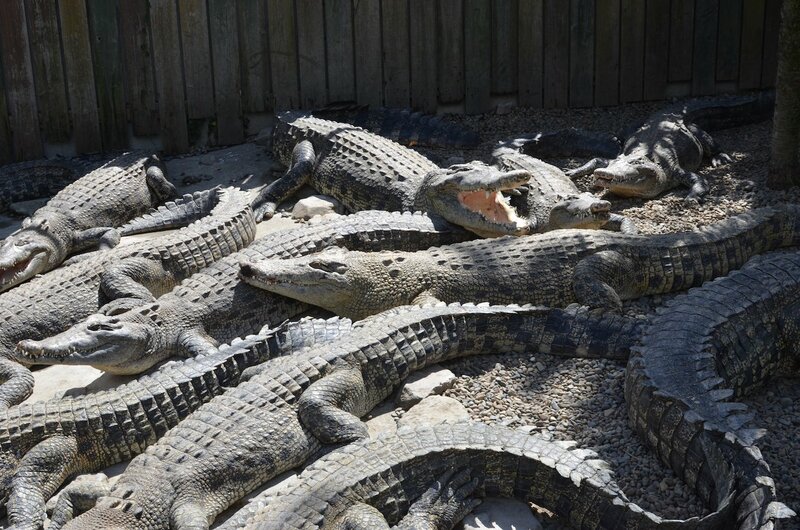 Over 100 reptiles slither happily in the spring water. 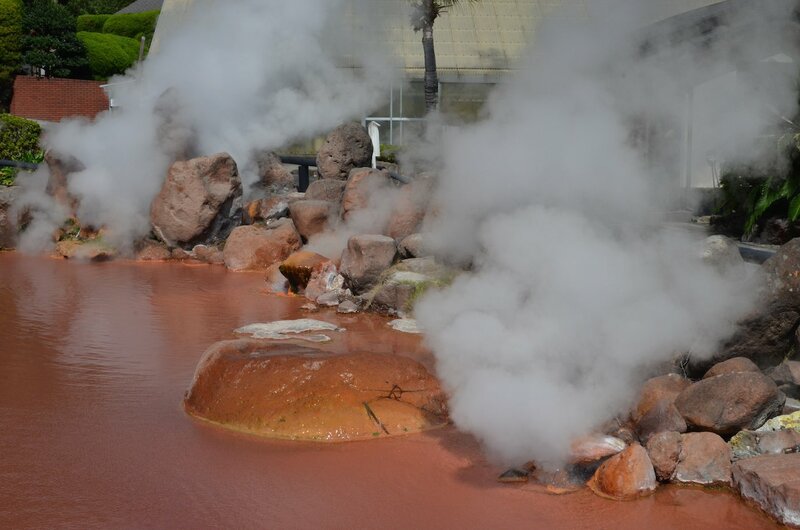 Boiling water and steam regularly erupts in bursts of activity from this geyser. 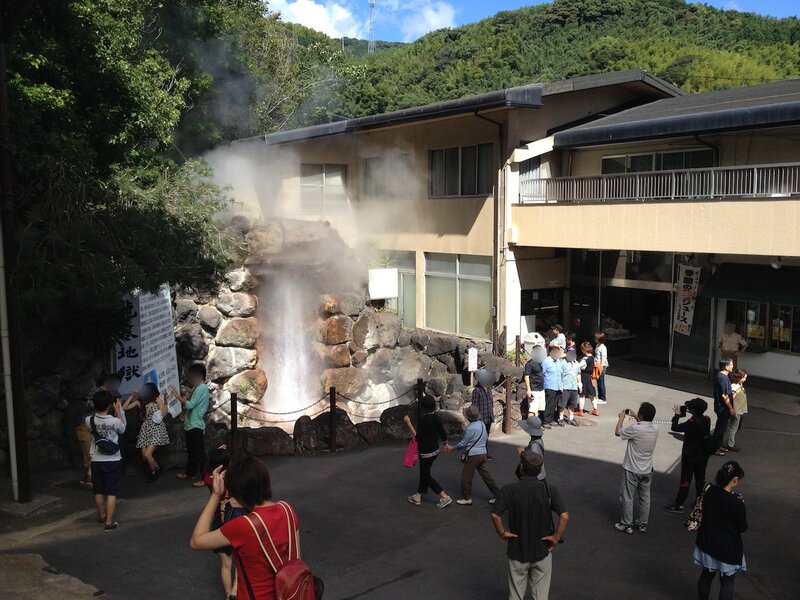 Despite all the hot spring activity, geysers are quite rare in Japan. While this one is remarkable for the short interval, the unnatural rock enclosure detracts significantly. It somehow got named a National Site of Scenic Beauty. 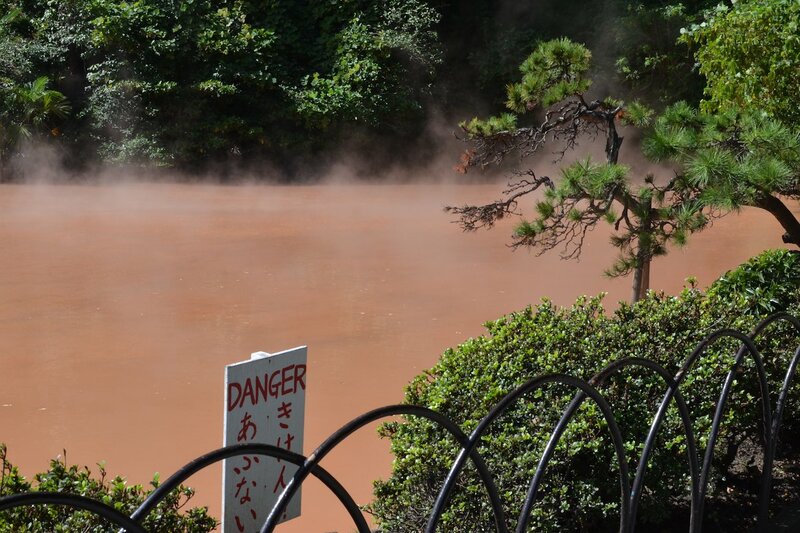 The red clay soil this hot spring mixes with creates a truly hellish pond. A steady red haze rises from the pond. The clay is said to be effective at curing skin diseases. 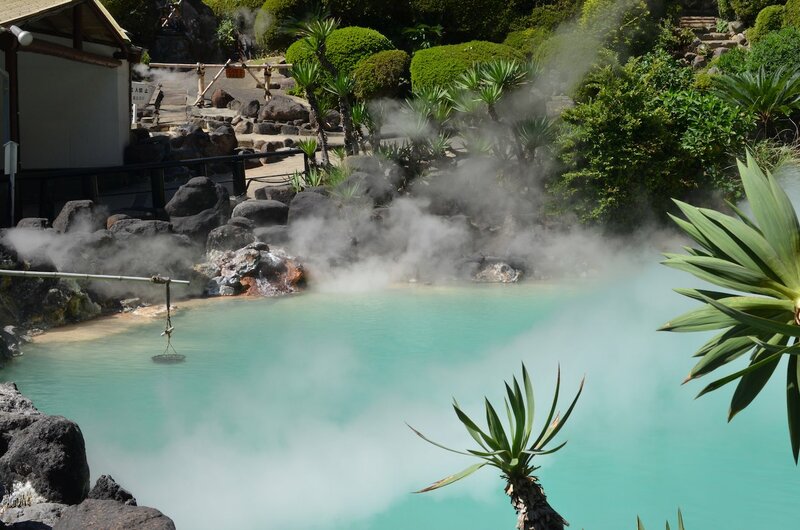 It is a cooler pool at only 78° C. This truly exceptional site is a National Site of Scenic Beauty. 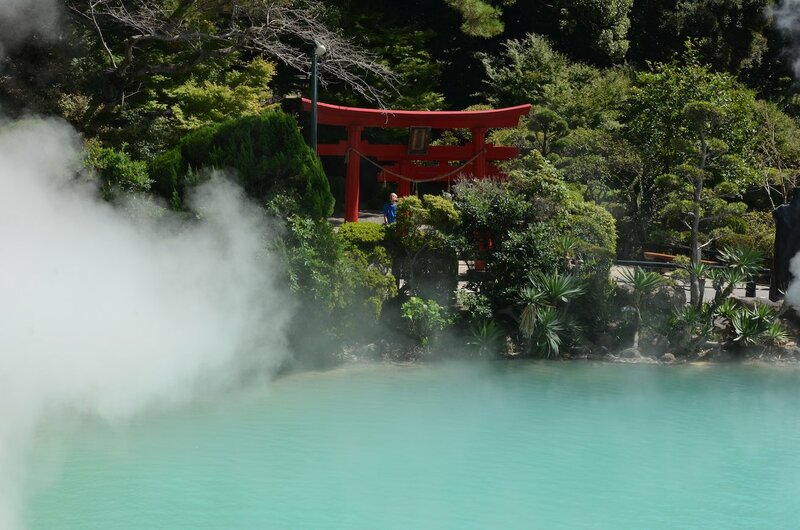 An incredible amount of steam rises from the spring at the entrance to Oniyama-Jigoku. 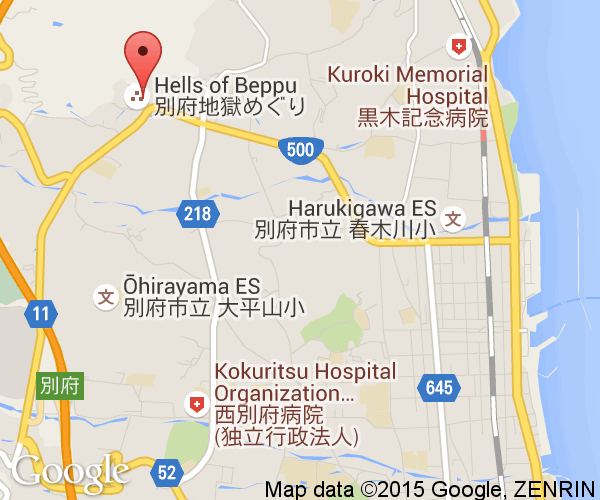 City buses going to the two areas can be found at Beppu Station in Beppu City. The tourist information centre in the station can provide specific instructions on which bus to get on and maps. A time efficient way to tour the areas is to going with a tour bus group. 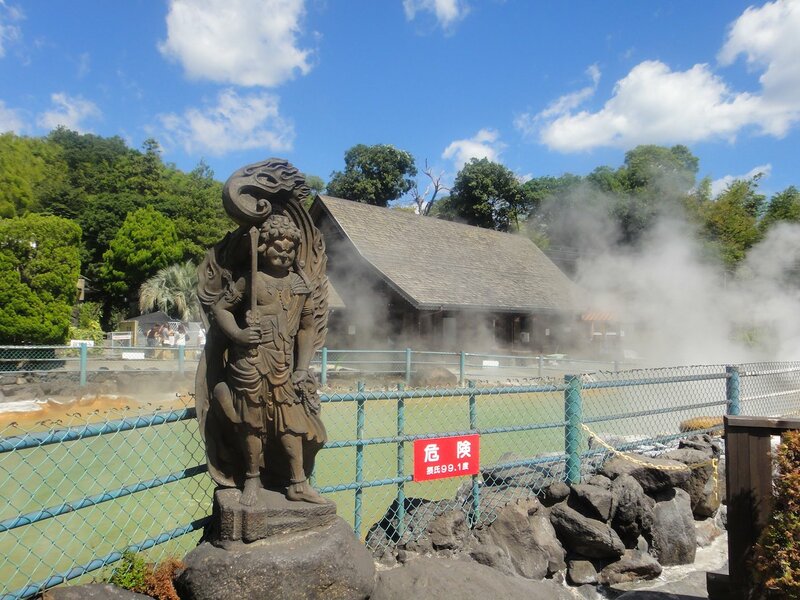 However, these tours are conducted in Japanese only. If travelling by car, you're in luck. Every stop on the tour offers free parking.